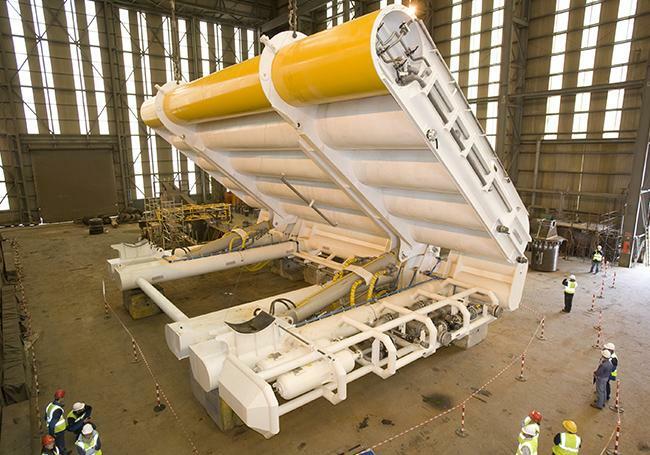 Wave energy converters are specifically designed to produce the maximum output at the location where they are going to be placed, in other words, to ensure that they generate as much electricity as possible from the movement of the waves around them. The design and adaptation is made on the basis of historical data, past wave height and period. "However, the timescale taken into consideration tends to be quite short and, what is more, the year is regarded as typical in this period. So the converters are adjusted on the basis of how they are expected to behave during that typical year," explained Alain Ulazia, lecturer at the UPV/EHU's Faculty of Engineering – Gipuzkoa in Eibar. Bearing in mind the changes taking place as a result of climate change with respect to temperature and other metrological parameters, Ulazia and another two UPV/EHU researchers in the departments of NE and Fluid Mechanics and Applied Physics II, and from the Plentzia Marine Station, in collaboration with the Irish Centre for Ocean Energy Research tackled a longer-term study. "In Ireland we conducted a study that we had previously done in the Bay of Biscay, given that Ireland is particularly active in terms of wave energy and we wanted to explore that energy as a resource. Using a simulation we calculated what response or behaviour a converter would have displayed when faced with the level of energy recorded during the last century, divided into periods of 20 years, given that the converters have a useful service life of 20 years on average," he said. In this task their source of information comprised two datasets of the European Centre for Medium-Range Weather Forecasts (ECMWF): ERA-Interim and ERA20. Both of them are reanalyses, in other words, datasets fed by a whole host of observations and measurements. They are spatial networks that provide long time series in each of the eyes of the network, in other words, for each location. The better-known one is ERA-Interim as it brings together a multitude of data coming from satellites, but its limitation is that "it only has data on the last 40 years," explained Ulazia. "ERA20 is fed by far fewer data, is much more irregular from the time and spatial perspective but provides data on the whole of the 20th century." In the research they calibrated one dataset against the other by making use of the overlapping period they have. And then they validated them against the measurements made in the buoys in the Atlantic. As Ulazia said, "we concluded that the data are acceptable, that they can be regarded as good, so we were able to simulate the levels of energy in which the converters were expected to have worked". Taking the average 20 years' useful service life of wave energy converters as a reference, they divided the last century into five periods and adapted the converters for the level of energy corresponding to each of these periods. "We found that between the first time period and the last the level of marine energy saw an increase of more than 40%, and the biggest increase took place in the last 20 years (18 %)," highlighted the researcher. "We did not get involved in analysing what was responsible for this increase, but the main hypothesis would be climate change." The fact that there are great variations in wave energy has direct consequences on the output of the converters; in the research they were able to see, for example, that "the converters did not take full advantage of all the energy they had available and, what is more, extreme events, such as periods of waves over seven metres high or phenomena like El Niño, became more frequent as the century progressed. As a result, the converters had to go more frequently into survival mode, or stop producing energy during these marine events," he said. Ulazia says the information obtained should be useful in optimising the design of the converters. "As these devices are optimised on the basis of wave height and period, their design would need to be adapted to ensure they achieve maximum output in conditions that are increasingly more active". Three UPV/EHU researchers participated in this research: Alain Ulazia and Gabriel Ibarra of the Department of NE and Fluid Mechanics (the first in Eibar and the second in Bilbao), and Jon Sáenz of the Department of Applied Physics II. Ibarra and Sáenz also belong to the Plentzia Marine Station. They collaborated with the Irish Centre for Ocean Energy Research in view of its broad experience in machinery simulation, and for other reasons. There they had the participation of Markel Peñalba from the Basque Country.